My favorite salmon recipe. Hands down. The reason this salmon is my favorite? It literally melts in your mouth like butter.. and it’s healthy! It looks fancy but it’s actually very simple to prepare. 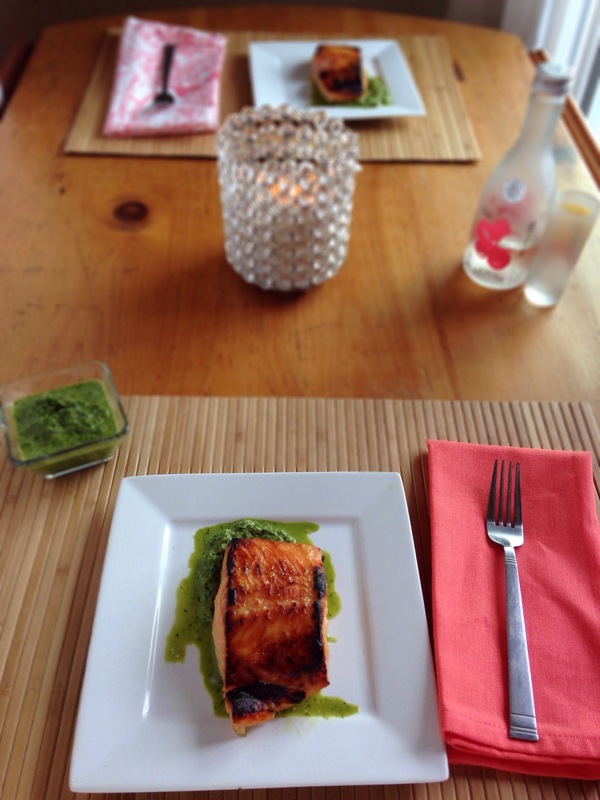 This was my first time cooking with white miso and I enjoyed how savory and sweet it tasted with the salmon. My boyfriend and I make this at least twice a month because we can never get enough of it. 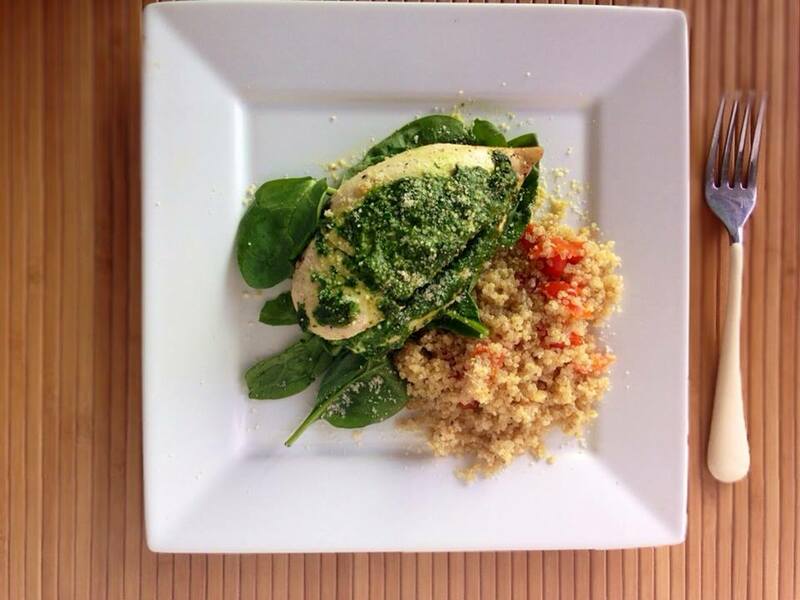 I definitely recommend making this dish! 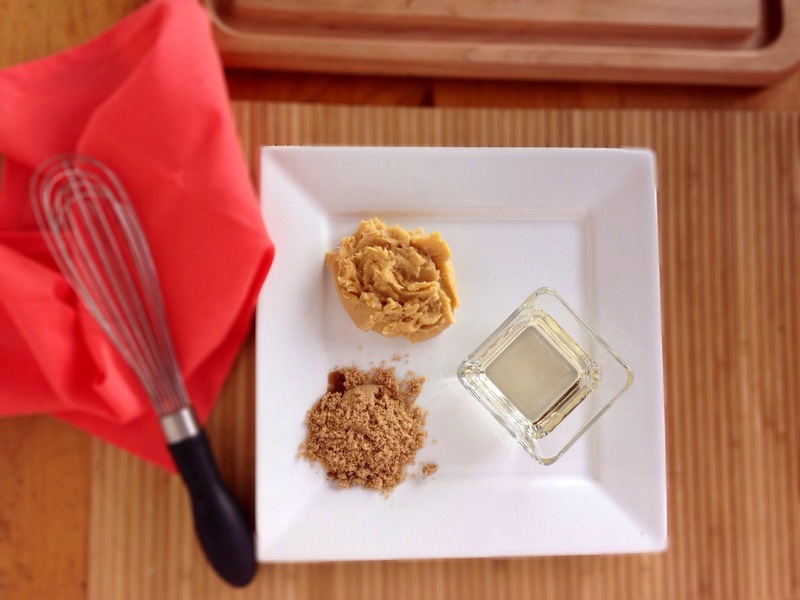 Start by adding the miso, vinegar, 1/4 cup brown sugar and water to a medium saucepan. Cook this over medium heat and stir occasionally until the miso and sugar are dissolved. Be sure not to boil! This only takes a few minutes. Let the glaze cool to room temperature, about 10 minutes. Place the salmon into shallow dish (or large resealable bag) and add the miso mixture. 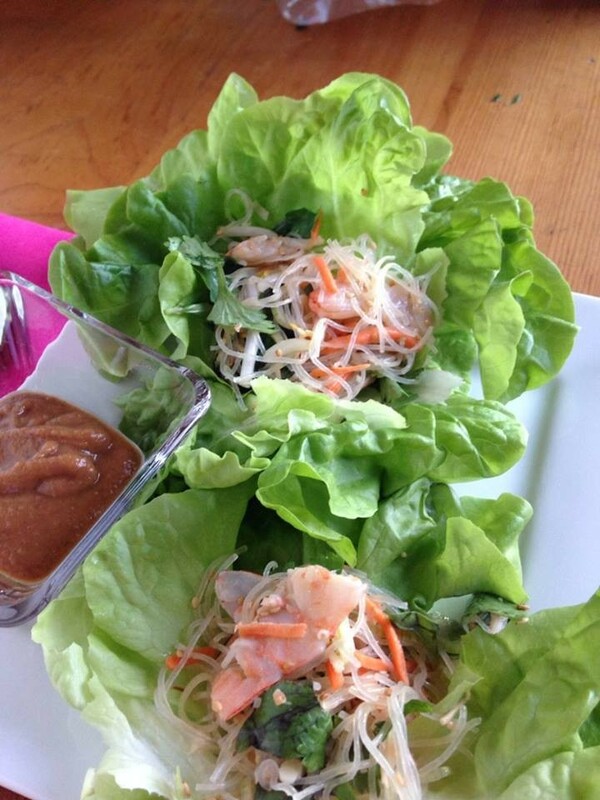 Be sure to completely coat the salmon… you want the yumminess to spread all over. Let this marinate in the fridge for one hour. 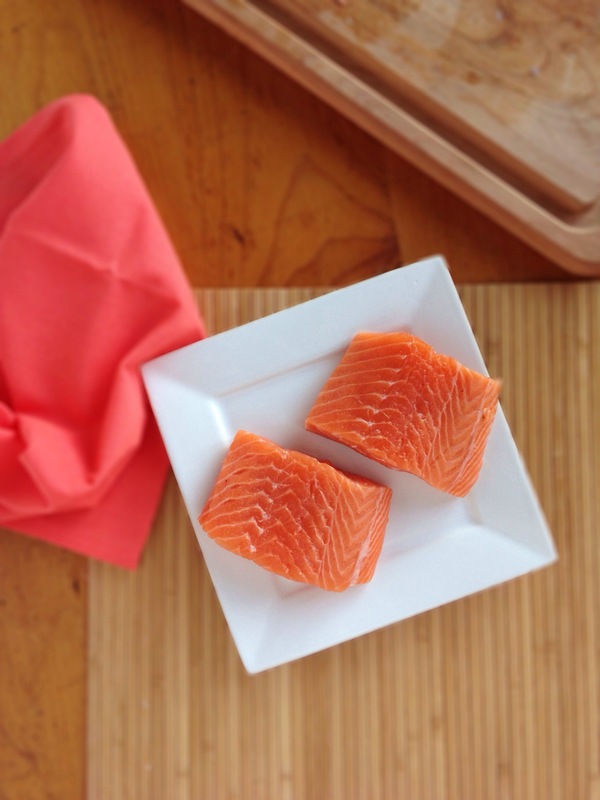 While the salmon is marinating, you can start on the sauce! 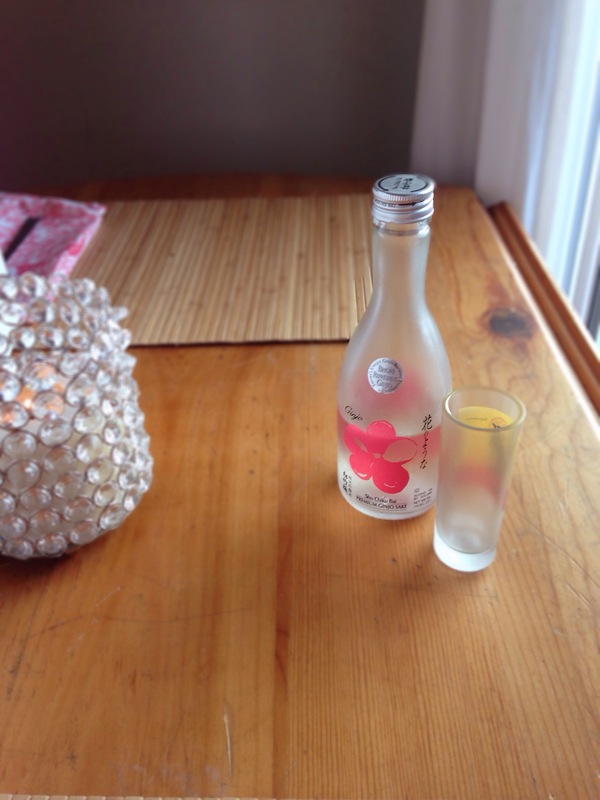 This about the time I open the bottle of sake with my bf. 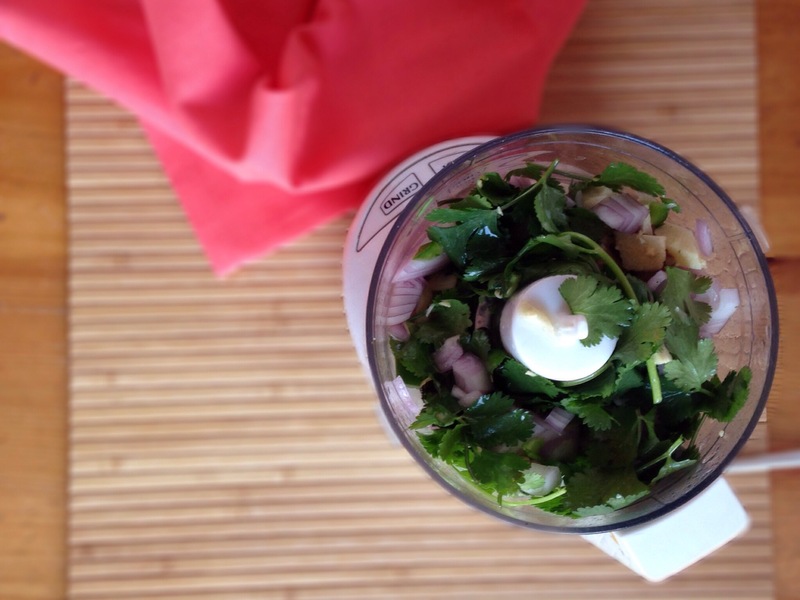 Puree the cilantro, lime juice, shallot, jalapeno, garlic, ginger, oil and remaining brown sugar in a food processor or blender until sauce is smooth. The finished product should have a bright green color, add more cilantro if you need to! 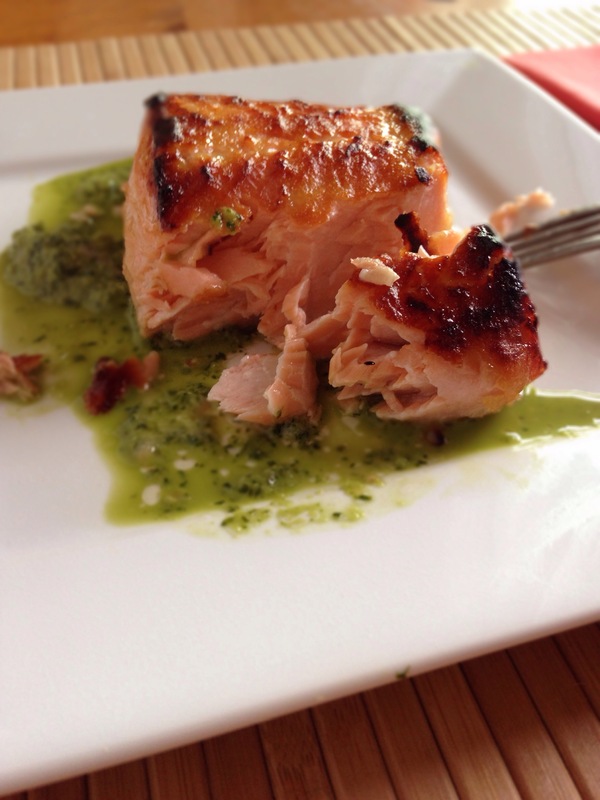 The cilantro sauce has a very intense flavor on it’s own but works extremely well with the salmon. Next, heat the broiler and place the rack about 8 inches from the heat source. 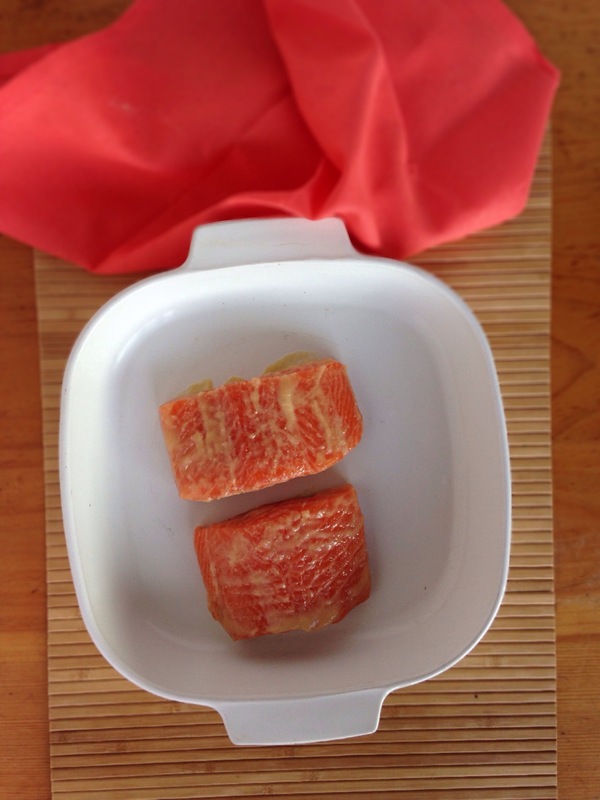 Wipe off any excess marinade from the salmon and place filets in baking dish. Broil filets for about 5 to 6 minutes, until they are cooked through. (I like mine seared in the middle). 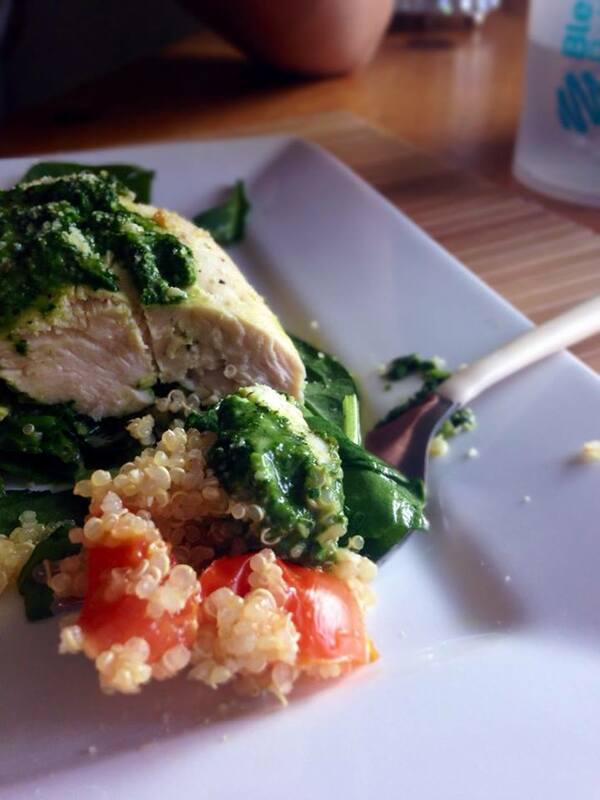 Using a large spoon, add cilantro sauce to each plate. 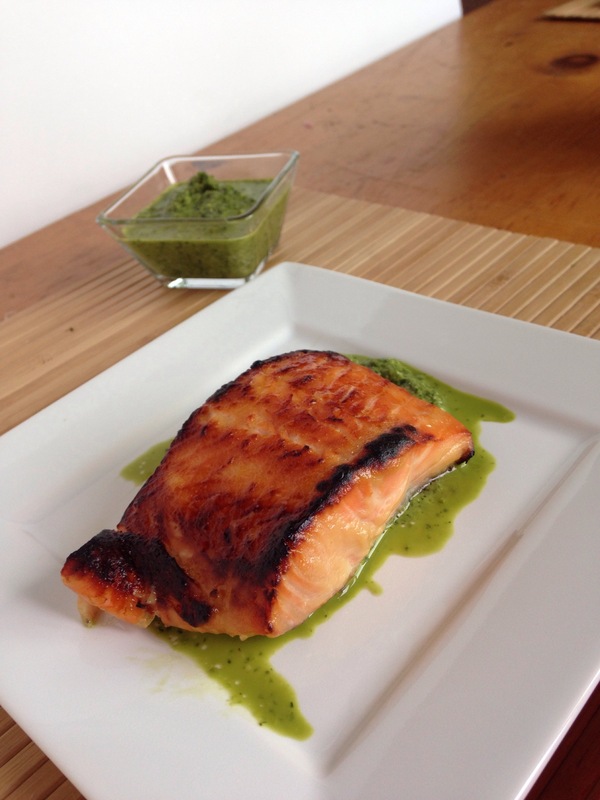 Put the salmon on top of the cilantro sauce and serve! I enjoy this dish without any sides since it tastes so good on it’s own! Doesn’t this make you hungry?? Categories: Clean eating, entrees, Gluten Free, Healthy, Healthy Recipe, High protein, salmon | Tags: cilantro, entree, gluten free, healthy, miso, salmon | Permalink.